Hi, Roy is the name and Oddball is the game it seems. I think a pic or two would sum my world up nicely. Its my not so oddball RS500 up first and i see you already have a couple of pics taken at The Shoulder of Mutton years ago. I see a few people i know in the Shoulder pics, a good time that was over Pauls..
Then we go a little raving b roads with a couple of these... scroll down, but worth a read. same bike but the wording is good. Welcome Roy, it was me who pointed you here from that other forum. 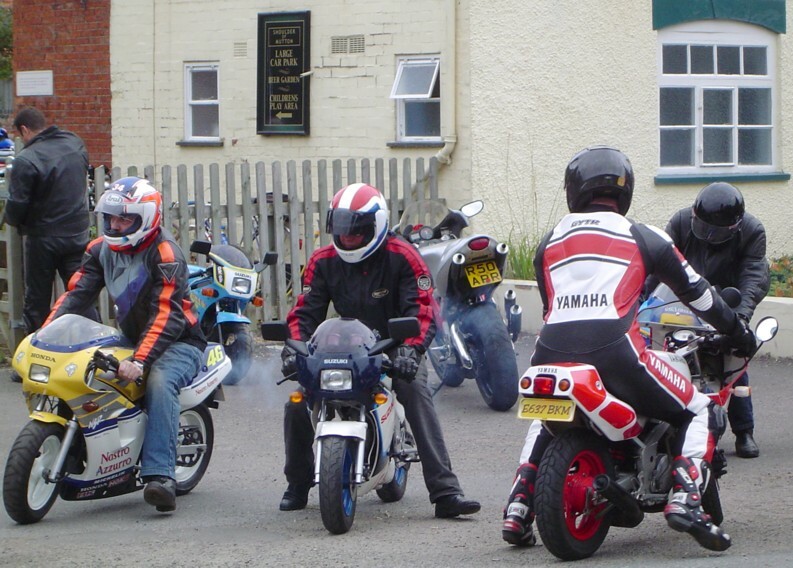 And that's me in the pic above, on my wife's NSR50. Was a good day at Paul's pub that ! Ok, where do I start? Welcome to the forum Roy. Now tell me about this RS500 please. Is it an RG500 motor in an RS250 chassis? And please can we have more pics? Without fairings? Yeah. I'll get some posted soon. Here is an early one. I sa early pic, taken in 2000 . Here is an old thread of the RS500.